William Shakespeare (1564-1616) died 400 years ago on 23 April. William Shakespeare, the first verse of the dirge in Cymbeline, Act IV Scene 2. 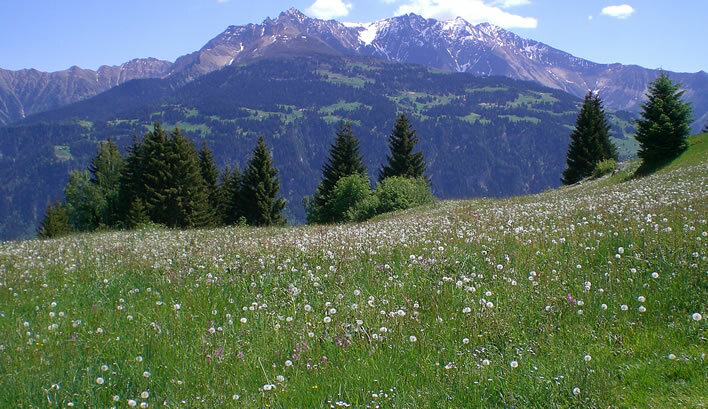 Two photos of a Swiss alpine meadow taken three weeks apart. 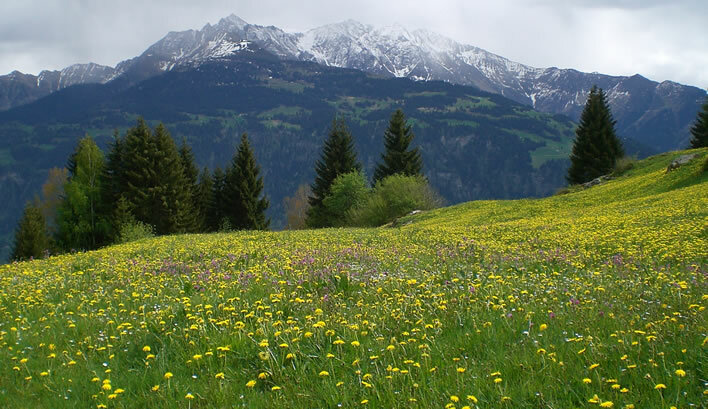 The first appearance of dandelions is an important event in the agricultural calendar in the mountains. A widely spread assertion is that 'golden lads' in Shakespeare's Warwickshire dialect refers to dandelions in flower and 'chimney sweepers' is the name applied when they have gone to seed. Many have seized on this assertion, despite the fact that these allusions, particularly 'come to dust', do not really match Shakespeare's text. No reliable primary source for this assertion is ever given. The author of a recent paper (£) has shown convincingly that the dandelion interpretation is almost certainly false and is thus yet another example of one of this blog's many mottos: 'nothing is ever as it seems'. On the 400th anniversary of our Golden Lad's coming to dust let us scrape this nonsense away from these two magnificent lines, in their compact genius an achievement for which most other poets would require at least two full verses. Who needs dandelions? ^ Update: This statement is correct for those few diehards still using the Julian calendar (with January 1st adjusted). Fans of the Gregorian calendar will prefer having him die on 3 May. Lift a glass to him on 23 April and again on 3 May just to be sure – a win-win.